We had a great booth at the Creative Stitches Show in Sherwood Park. 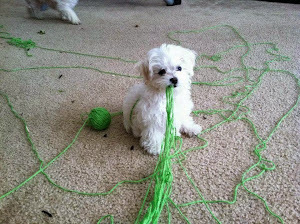 Lori's arm knitting classes were full. 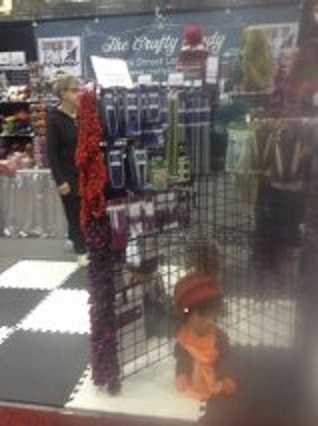 The booth was busy, and we were in a wonderful corner with two other knitting shops, Westminster Fibre, and the Edmonton Knitting Guild. 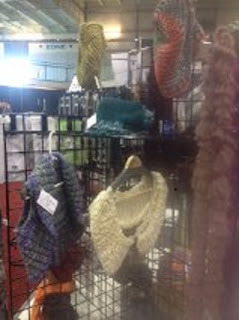 The Creative Stitches Show is filled with quilting, scrapbooking and of course our favorite, yarn. So if you're a crafter you'll have a great time there! These pictures don't do our booth justice. I'll try to remember to get more pictures from the Calgary show. We're doing it again this weekend in Spruce Meadows. 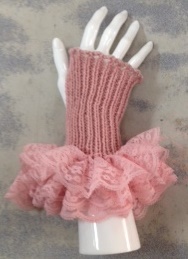 Lori will be teaching classes again in Arm Knitting, the Bridal Glove, and "When the Pattern Says Pick Up and Rib". 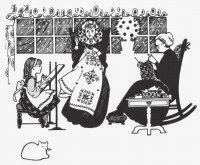 For a brochure go to Creative Stitches. 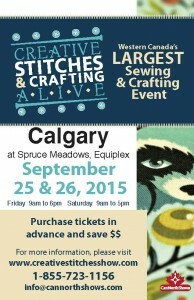 We will be at the Creative Stitches Show in Edmonton and Calgary! Lots and lots of yarn, some of it hasn't even been in our store yet. We just received them and put them straight back into boxes. Those who come to the shows will have first pick! 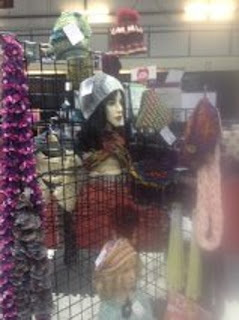 So come see what's new, and we have sales going on as well. And if you can't make it, the store will remain open.